Did you know there are 65 lakes in Ontario known as Long Lake? Our be autiful Long Lake is located in the township of North Kawartha and is surrounded by Highlands Provincial Park. This lake is beautiful, the cottages that you will see if you ever visit this lake are true cottages, cottages that have been in families for generations with charm, character, and privacy for the most part. I fell in love with this lake as I have with many of the lakes in my area because of the amazing amount of granite outcroppings. This area is rich with the Canadian Shield and the lakes in Kawartha Highlands Provincial Park have a magnificent abundance of this. 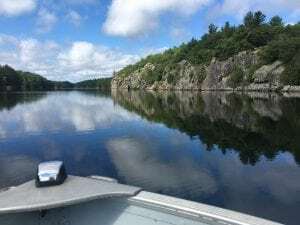 Long Lake is a great gem in our area and if you like to canoe or kayak you can really take in the views at a slow pace. This lake is motorboat friendly as well so if you would rather speed then that is okay too. You drive into Long Lake from Long Lake Rd off of Hwy 28 just south of Apsley. There is Long Lake Lodge on the left and that has its own history. The owner has been there for over 20 years and knows the lake like the back of his hand. You can rent canoes, boats, cabins etc from here or you can put your own boat in and tour up the lake at your own pace. The fishing is great, you can expect to see Large and Smallmouth Bass, Rainbow and Lake Trout. You can fish this lake in the winter as it is open for ice fishing. 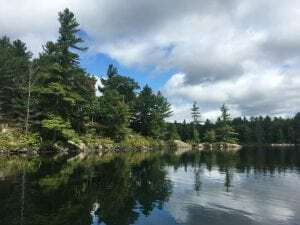 Long Lake is located in Kawartha Highlands Provincial Park, so you can contact the park and set up your campsite if you would like to make a week or weekend visit. The lake itself is quite relaxing and I find brings you right back to an earlier time before the hustle and bustle. Cell reception is hit or miss the further up the lake you go and I think it adds to the charm and cottage experience.